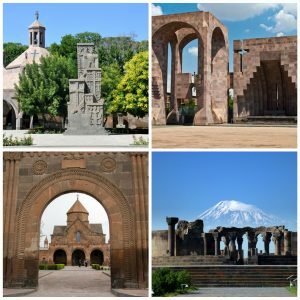 Echmiadzin or Vagharshapat, a UNESCO World Heritage Site, is the fourth largest city in Armenia and most importantly it’s the religious center of Armenian Apostolic Church. 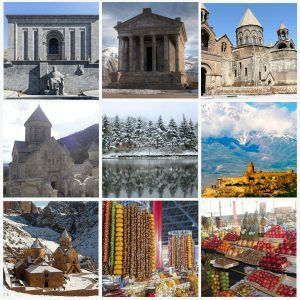 Armenians pride themselves on being the first nation to have adopted Christianity as an official state religion in 301CE and Vagharshapat was the capital of Armenia at that time.So, in order to fully appreciate Armenian culture – Echmiadzin should be on your list of sites to see. Mother Cathedral, one of the oldest churches in the world (301-303), built by Grikor Lousavorich (Gregor the Illuminator), is also a unique Armenian church, because of its inner decorations.While the walls of other Armenian churches are mostly bare or decorated with engravings, the Mother Cathedral is painted with frescoes, which strongly resemble world-famous illustrated miniatures displayed at Matenadaran. The Cathedral is part of Mother See of Holy Echmiadzin complex.The complex comprises of spiritual and administrative headquarters of worldwide Armenian Apostolic Church, the Pontifical Residence of Catholicos, Theological Seminary founded in IV century, several museums, a gift shop, park… Also, on the grounds all varieties of grapes native to Armenia grow. 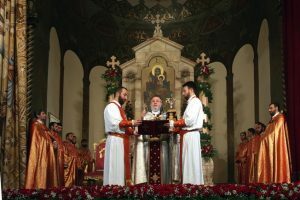 And if you are in Echmiadzin in mid-August, you may even attend a spiritual ceremony Blessing of Grapes. 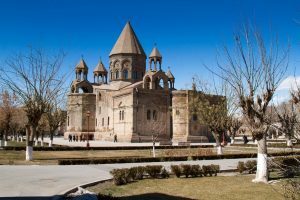 There are three prominent churches in Etchmiadzin: St.Gayane (630 CE) with its slender and delicate proportions, St.Hripsime (395 CE) and St.Shoghakat (1694 CE). 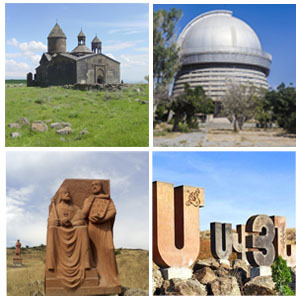 All three churches are dedicated to women, who were martyred during the conversion of Armenia to Christianity. 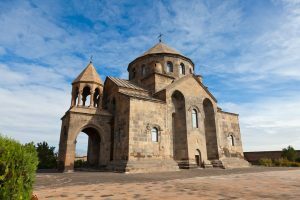 St. Hripsime, which ‘greets’ you as you enter the city of Etchmiadzin, is a perfect, classic example of Armenian spiritual architecture, with its cruciform plan and central cupola. 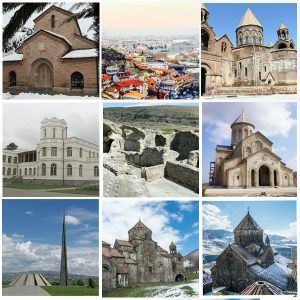 Its dominant feature is the basic harmony of layout and proportions, as well as the simplicity and classical purity of its facades – the outstanding qualities of the Armenian architecture of the high Middle Ages. 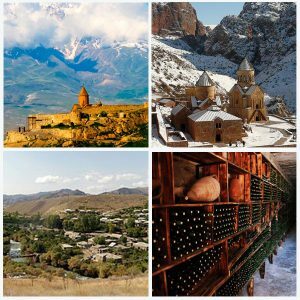 Surb Hripsime is one of the most cherished sacred places of the locals.